Okay, that’s a lame link to the demise of Mickey Arthur as Australian cricket coach in 2013, the tipping point being when he asked the players to tell him how they could improve after being hammered in the first two Tests of the series in India. It’s a saga worth recounting given Johannesburg-born Jake White has emerged as a potential replacement for Wallabies coach Michael Cheika, who will front the Rugby Australia board next month to fight for his job following a woeful year. On that Test tour, four players — Shane Watson, James Pattinson, Mitchell Johnson and Usman Khawaja — were axed after failing to send through their homework to the boss. For Arthur, who was also born and raised in Johannesburg, it was a quick and demeaning demise, especially as he explained later that there were a lot of other people involved in the decision and he had merely asked his players to come up with suggestions that could help him arrange for a more customised training session leading into the third Test in Mohali. Sounds pretty innocent, right? An inclusive approach shouldn’t be simply regarded as a cry for help but can also have the potential to get players invested more heavily. “So I went back to my room that night and didn’t sleep thinking… I am a South African coach and I was going to accuse the Australian people about their culture,” Arthur recalled last year. This insight is one of the reasons why – to me – a foreigner shouldn’t coach the Australian rugby team. Could you imagine if Justin Langer, a gritty West Australian, disciplined homework dissidents on that same tour? The highly likely response from fans would’ve been highly favourable to Langer as he would’ve been taking a tough stance on team culture, camaraderie, respect. Arthur didn’t stand a chance. Why? Predominantly because he’s not from Australia, that he doesn’t know how ‘Strayans tick. What would he know about how to motivate Aussies? A foreigner coaching another national team has a much shorter lifespan if things go pear-shaped. 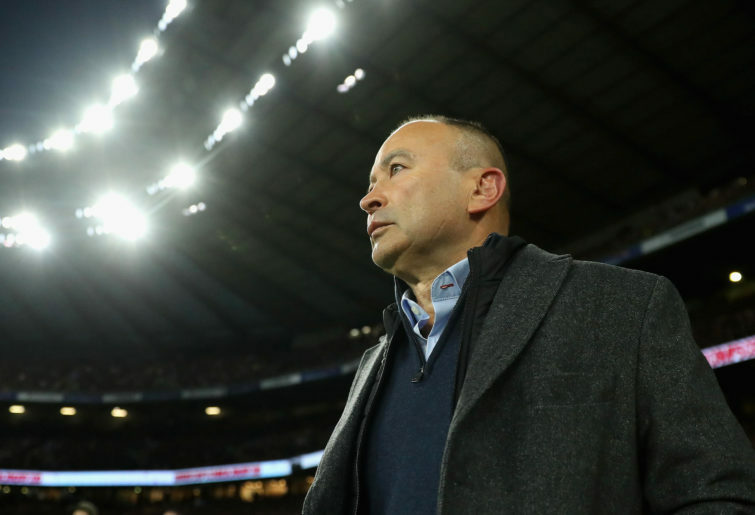 Eddie Jones, a Sydney boy coaching England, found that out last year when the Poms were going through a rough trot and the knives were out. Robbie Deans, a rugged New Zealander with a brilliant provincial record and a solid Wallabies coaching record, got little sympathy when he took a ruthless approach with Matt Giteau and brushed him from Australia’s squad for the 2011 World Cup. Maybe I’m more blinkered and prejudiced than I care to admit, but I much prefer an Aussie coaching the Wallabies. It’s a privileged position. I want the coach to be someone who sung Advance Australia Fair at school, not learnt from a YouTube clip. One needs to be careful when talking about national pride. Firm is my belief that sport should evoke a level of patriotism that never boils towards jingoism, the dangers of which are evident in Trump’s U-S-A. It’s one of the great elements of international rugby, that national pride can be vented for a few hours, but opposition fans can share a handshake, a train, a hug and a laugh after the final whistle. I’ve been lucky enough to experience while watching the Wallabies at venues such as Twickenham, Stade de France, Cardiff and the Olympic Stadium in Sydney. 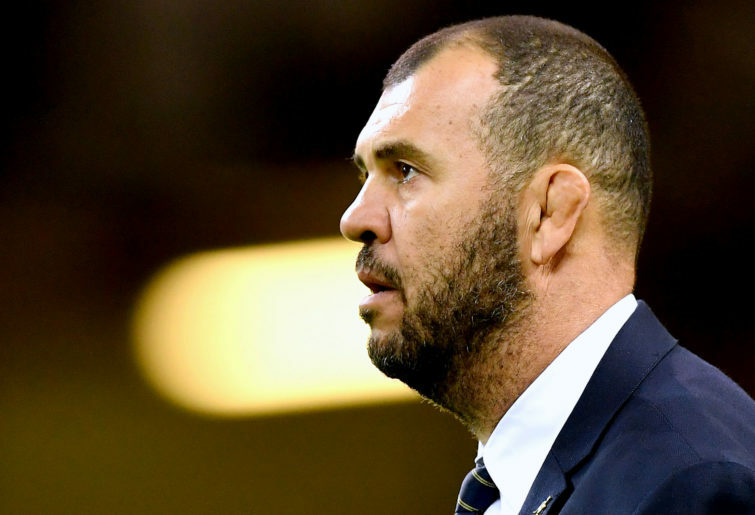 Cheika should move on after a horrible few years. A passionate Australian he is, but he’s been unable to ignite the Wallabies even as they copped it from all directions this season. But White isn’t the man for the head coaching job. His record is excellent, of course the standout being coach of South Africa’s 2007 World Cup-winning team. He’s had success at club level in Australia – with the Brumbies – as well as France and Japan. White sounds like a coaching nerd – a fastidious tactician who loves the technical aspects of rugby. So what about bringing him in a Director of Rugby role, who can not only lend his expertise to the Wallabies, but also consult to coaching staff at the Australian Super Rugby teams and perhaps even the national junior teams? It’s a role that Australian Scott Johnson has held with Scotland since the middle of 2013. In that time, he’s worked with Scotland head coach Gregor Townsend and helped them improve significantly – in 2017, they edged the Wallabies 24-19 in Sydney and then thumped them 53-24 at Murrayfield at the end of the year. Johnson has spent the past 12 years overseas, so is a bit of an enigma to Australian rugby fans. But he’s on the Rugby Australia radar, and having done a long apprenticeship that also includes stints in Wales, perhaps the 56-year-old is the man for the head coaching job at the Wallabies. The All Blacks and Springboks have home-grown coaches. But you will tell me that the top three teams in Europe – Ireland (Joe Schmidt, NZ), England (Eddie Jones, Australia) and Wales (Warren Gatland, NZ) – all have foreigners as coaches. Maybe I’m just small-minded and insular wanting an Aussie as Wallabies coach. Is that because I didn’t do enough homework when I was told to years ago?